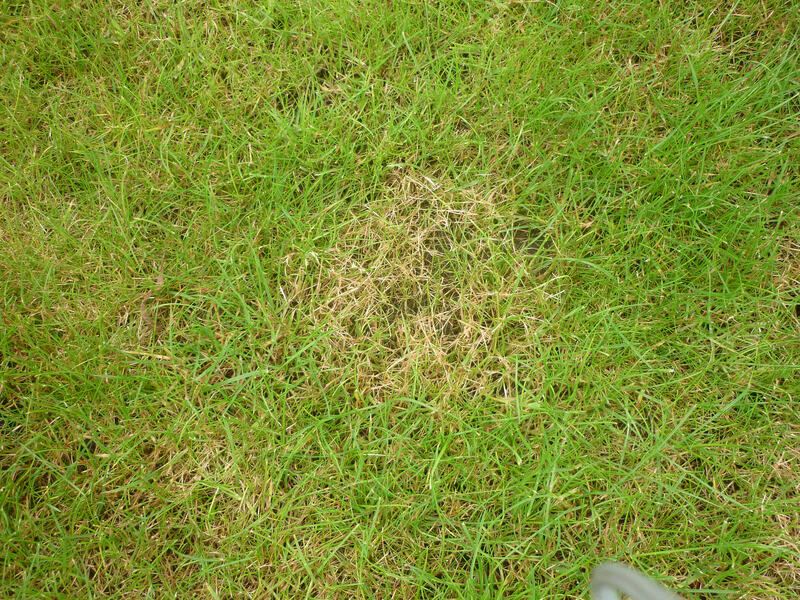 Occasionally, even a well managed healthy new lawn can be affected by outbreaks of fungal activity, either when weather conditions are favourable for the pathogen to develop or the if turf is under stress. 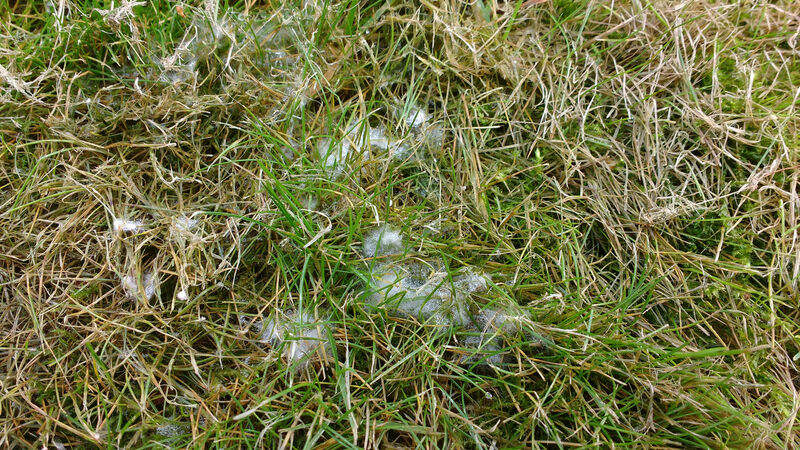 The most common problems encountered in turf are fusarium patch (now known as microdochium patch) and red thread. Below is a short guide to these diseases and fungus to help you identify and treat them should they occur. 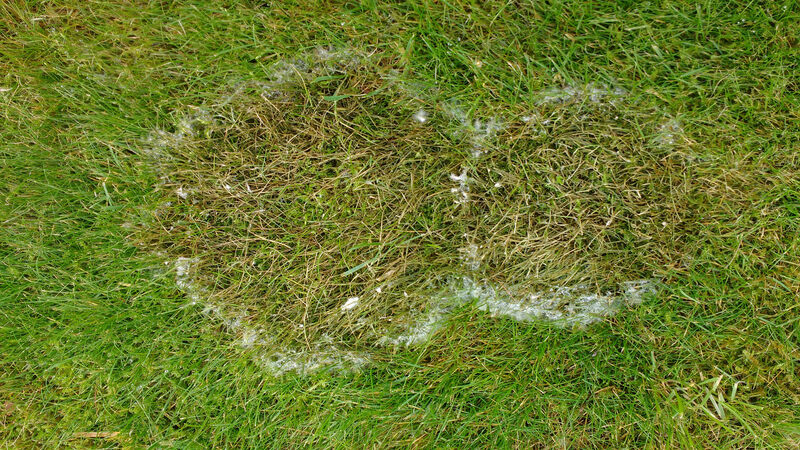 Fusarium Patch is the most commonly occurring disease of turf in the UK. The disease initially appears as an irregularly shaped orange-brown patch, a few centimetres wide, and increasing in size quite rapidly when conditions are suitable for the pathogen to thrive. As the patch develops, a white cotton like mycelium may develop around the edge as the infection advances. After a period of time the patches generally die back leaving very distinct brown areas on the turf. These scars will naturally heal if the turf is actively growing. However, as the disease pressure is generally higher during the autumn, the conditions may not be suitable for recovery until the following Spring. In most cases, the diseased area will completely recover once the grass is actively growing again. The spores of the pathogen travel via surface moisture, so the disease is most likely to be encountered from September through to April when conditions are damp and humid with limited daylight. It's worth noting that the disease is always present and can occur at any time of the year if conditions are favourable for its development. To discourage the presence of Fusarium Patch, it is important to keep the leaf as dry as possible by removing any dew formation and maintain a sufficient flow of air to the base of the grass sward. The application of a good quality Autumn fertiliser containing a high content of potash and iron will not only harden the plant leaf going into Winter but also add some colour. If the outbreak does require an application of Fungicide you should contact a fully certified contractor and ensure they use only a correctly labelled product. Red Thread is a commonly encountered disease in the UK and its presence can appear unsightly, however it usually causes no permanent damage to the infected turf. The pathogen is first recognisable as a small area with a pink coloured appearance and closer inspection will normally reveal a pink cotton type of growth or coral red needle like outgrowths on the leaf of the plant, hence the name. Red Thread is usually, but not always, a sign of a lawn with a nutrient deficiency and more often than not an application of a nitrogen based fertiliser will simply "grow" the infection out. Some grass species are more susceptible to red thread than others including perennial ryegrass and some varieties of red fescue, both of which are commonly used in commercial turf production. It is therefore very important to maintain a well balanced feeding programme and an application of a pre-turf fertiliser prior to laying new turf is advisable, particularly on soils with low nutrition. 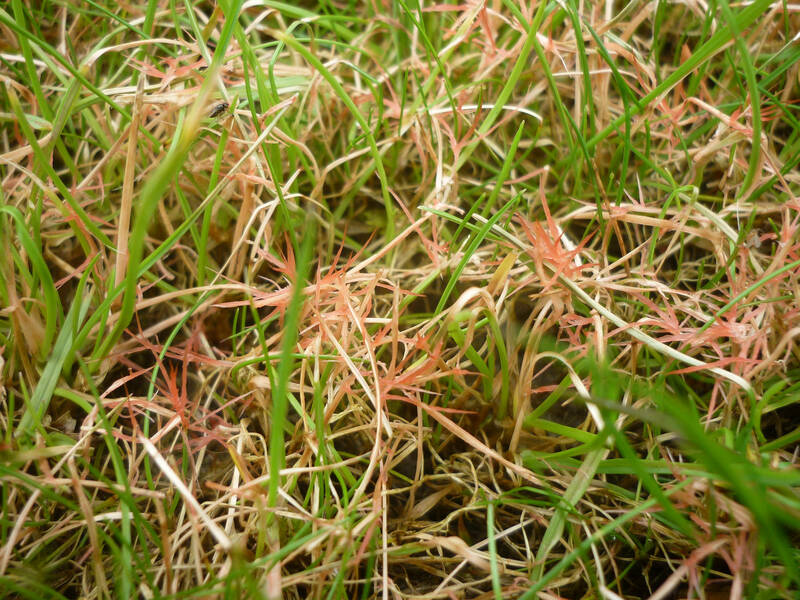 The spores of the pathogen are present everywhere and red thread disease can occasionally appear on a well managed lawn if the climatic conditions are right, even if all the necessary precautions have been taken.